How are you all doing? 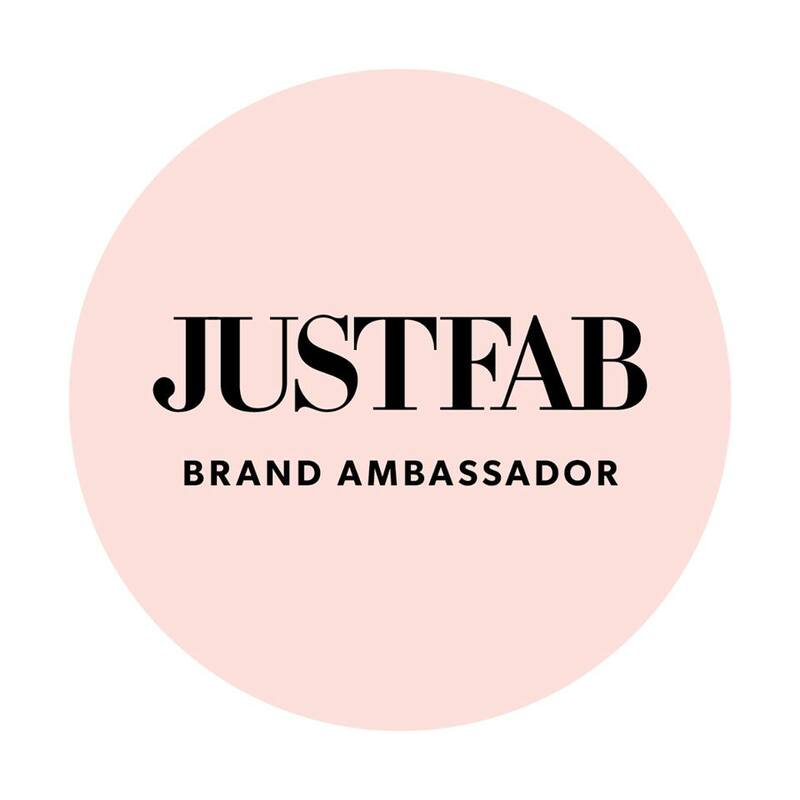 I am doing wonderful; I cannot believe the weekend is almost here, this week has been very busy for me and I cannot wait to start this weekend. I still have not had time to take pictures so I am sharing a new "Summer Faves" with you all. I promise I would have a new outfit post by Saturday. This summer faves is about Ankara clothing materials; they are African prints that are mostly abstract, whimsical and colorful. I am Nigerian and I am always proud to show off my culture in anyway I can. During this summer I wore a couple of outfits made from Ankara and I absolutely love how I styled them. I cannot wait to get more Ankara outfits and share with you all. I mostly wear my Ankara outfits when I am going to church or to an African party. 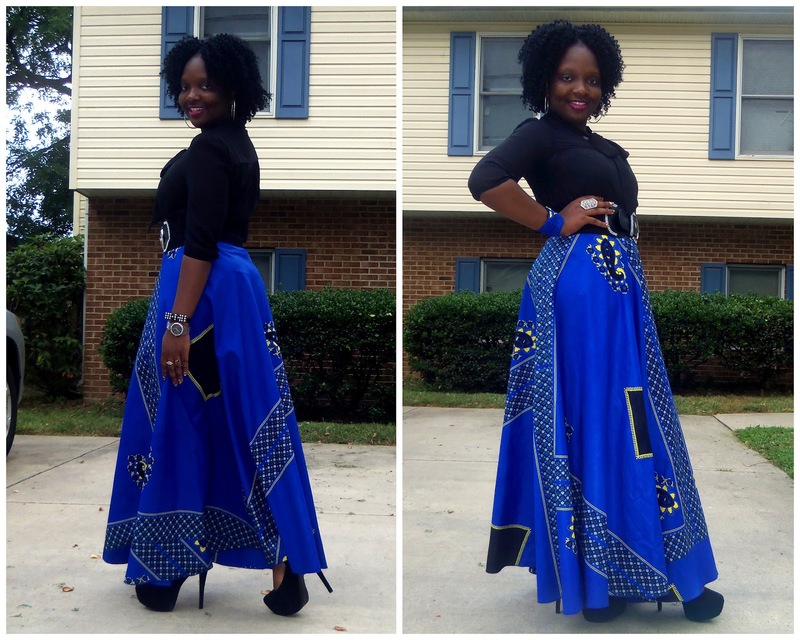 I wore this Vibrant Blue maxi skirt during a Thanksgiving Sunday Service at my church. This skirt was actually a dress but I converted it to a Maxi Skirt, I paired with a black tie-bow blouse and added some black and silver accessories. I wore this Purple and Gold Ankara Skirt to an African Party. I paired with with a black shoulder cut-out top with gold button accents. I accessorized with gold jewelries, clutch and booties. 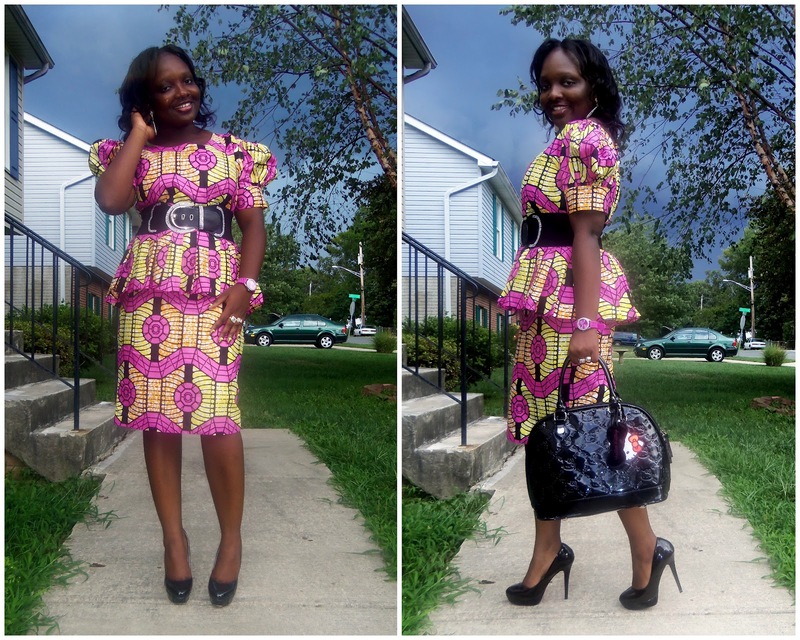 This Ankara Peplum Dress was my favorite Ankara that I wore this summer. I also wore this outfit to church. I love that it was in the Peplum style, and I kept the accessories simple by adding black belt, bag and pumps. 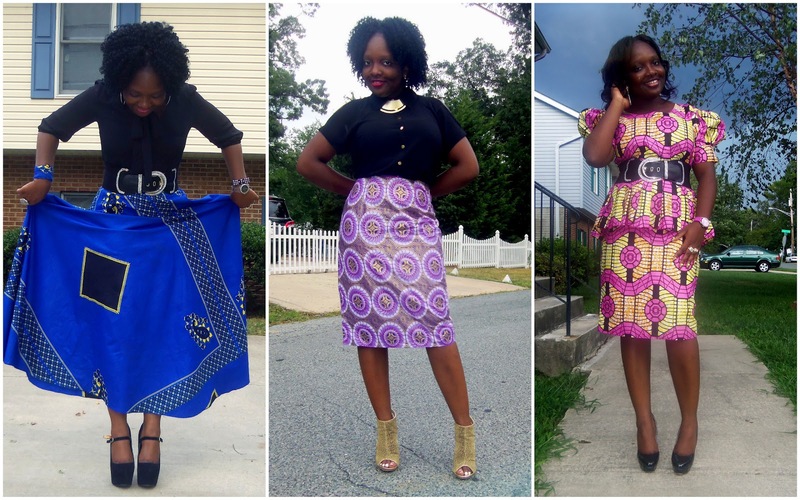 Which of these Ankara outfits is your favorite? that blue maxi is beautiful! that color looks great on you! WOW! I love that blue skirt? Can you ship it to South Africa for me? lol..
Love your shoes as well... AND THAT BAG! Love the blue maxi skirt! Love all the ankara fabrics. Gorgeous! Hi I just found this post. I love how you are wearing these ankara prints! I think it was brilliant summer fashion. thank you so much for share this.